This week, we feature three segments. First, we’ll feature a statement about recent doxing of a number of anti-racists in the Asheville area by far-right keyboard warriors. After that, we feature an interview with Dee, an anonymous incarcerated organizer affiliated with Jailhouse Lawyers Speak. 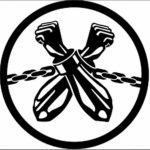 In this conversation we ask about the effectiveness of the #August21 2018 Nationwide Prisoner Strike, the push to move prisoners under storm threat as these increase under climate change, repression and changes in response to the strike, mail limitations in PA prisons, standardization of increased security in Ohio, outside support and organizing, critiques of the methods of NPS2018, and more. Check our show notes for links to more info concerning the strike. 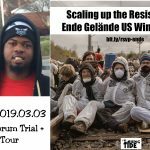 In our final section of the show, you’ll hear a report by audio comrades in Germany about the recent resistance to the destruction of the Hambach Forest by authorities. The clearing of the ancient forest is to create the largest open-pit lignite coal mine in Europe on behalf of the corporation RWE, which sells to Netherlands, Germany & the UK. Lignite has a carbon content of around 60-70%, has a low energy yield, and is responsible for 1/3 of CO2 emissions in Germany. This segment shows up in the November 2018 episode of B(A)DNews, Angry Voices from Around The World from the A-Radio Network, of which we’re a proud member. Keep an eye on our podcast stream and website for a link to this episode coming out in the next couple of days. They’ve targeted more than twenty people they believe are involved in anti-racist organizing in North Carolina. They’ve posted information such as our home addresses, places of work, family members, license plates, social media profiles–whatever information they could find. They seem to be fixating on trans and nonbinary people in particular, and delight in trying to deadname and misgender us whenever possible. Some of us, and some of our family members, have received harassing messages. They wrote about us like it’s some big secret that we oppose fascism, that we oppose racism, that we oppose all forms of bigotry and oppression. It’s not a secret. We weren’t hiding. We are not ashamed. This isn’t a plea for sympathy. Our friends and immediate community have been amazing. Rather, this is a message to let you know that if you ever find yourself targeted by neo-Nazis and the far right, you are not alone. None of us need to face this rising tide of fascist scum alone. We have each other. Robert Bowers, the Pittsburgh Synagogue shooter, actively and publicly chatted with alt-right trolls who had doxxed anti-racist activists. He even discussed violence against anti-racists in our region. This is probably a good time to think seriously about your online security and that of your family members and friends. But staying safe isn’t just a matter of changing your Facebook settings or making your Instagram private. It’s a matter of us showing up for each other. Of us not letting them intimidate us, not letting them isolate us. Not letting them stop us from our work. Especially when the work is stopping fascism. To read the full statement, you can visit https://ashevillesolidarity.tumblr.com/ , where you can also see a list of bands and businesses which have been included in the current harassment. And of course, there are ways to donate and send support! For an article about this (released just as our radio show was airing), including a statement by Firestorm Books contextualizing the specific harassment they’ve received, you can visit The Asheville Blade, which you can donate to here! To support Firestorm Books, our local anarchist community space and bookstore, you can join their Community Sustainer’s Program or leave them a positive review on Facebook, Yelp, wherever you can. For those in the Western NC area, there will be a Fall Fundraiser to benefit rural organizing and resilience on Friday November 30th at 6pm at the Marshall Container Co. which is located at 10 South Main Street, Marshall, NC. 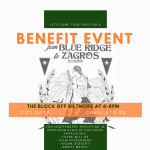 The event will center around a cornbread and chili dinner and will include several surprise musical guests! And finally, if you are in the position to donate to those injured yesterday fighting the Proud Boys in Philly and elsewhere, you can go to this rally.org page. Remember that if you donate to do so anonymously! 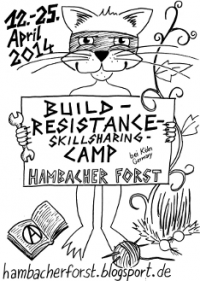 Hambacher Forest resists RWE’s lignite carbon mine! This week’s discussion happened as news came from the Hambacher resistors that the state was in the process of evicting the forest defenders. On 3/29/13 Sonny and I got back together to talk about updates on the situation.